Whatever happened after Link returned the Master Sword? What weapons did he go on to use? The answer? The Termina weapons, but that's back when Link was a child. The future meets the past with this skin! It's not perfect, but it's such a lovely concept that I don't mind. 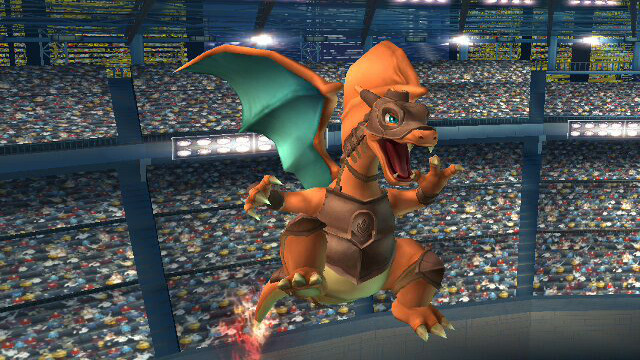 This is an HD resource for Smash 3 and Smash 3C content containing HD and uncompressed textures and interface assets. Please see the readme in the mega files for more information. Update 8/15/16: New Melee-inspired alternate recolors! It's Ocarina of Time Sheik! She comes with three team colors, as well as an alternate version of her main costume based more closely on how she appears in Ocarina of Time! Update 8/10/2016: Now includes an optional version with the Smash 3 head. Marth's Holy War costume from Project M comes in hot in the Smash 3 style! Comes with matching Brawl and Project M CSPs and all new recolors. 10/22/2017: A full texture revamp and 10 colours. Project M's armored Ike alt in Smash 3 style! Comes with two sets of CSPs to either match Brawl's pose or PM's pose. 10/22/2017: Completely revamped Ike outfit. 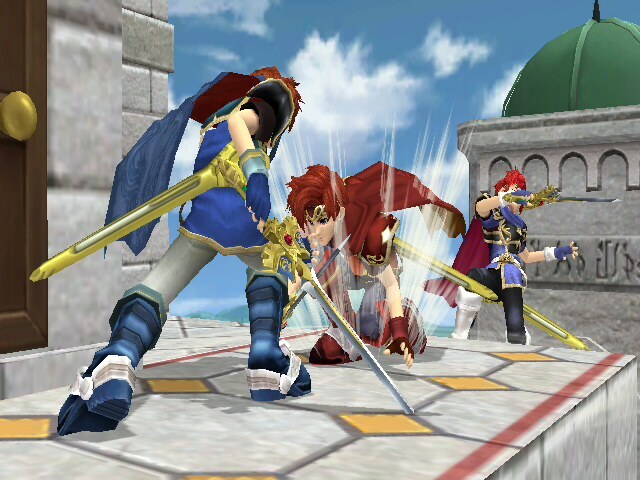 Ike fights for his friends in his original Ranger outfit. He wields the Smash 3 Ragnell blade too, even though he never had it while in this class. Comes with 10 costume colours. 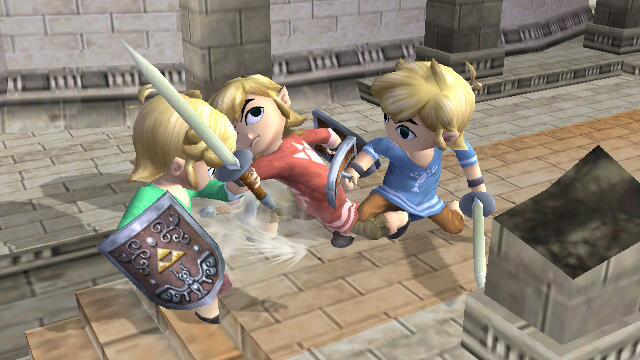 PM: Unlocked Tock Minish Cap Link is now Smash 3-fied! It comes out with Rimlighting and with Smash 3 styled CSPs/BPs. 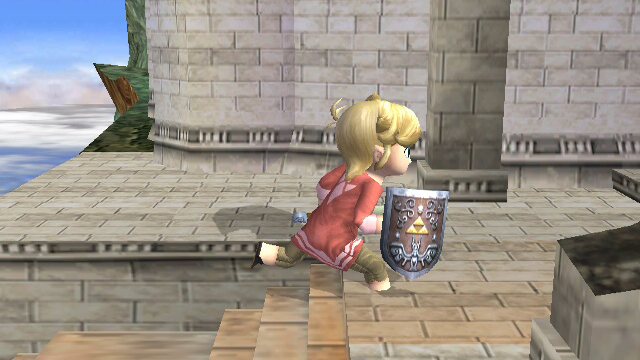 It has an alt that resembles more the original artwork of minish cap link (it has the same wind waker belt and shoes). The Hero's Shade is cool, right? Yeah, I agree. 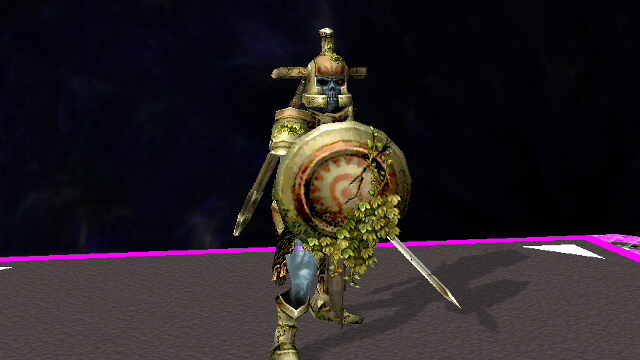 And so did Kidneptune101, so he imported the Hero's Shade into Brawl. His version did not have a sheath, or a shield on his back or anything like that. 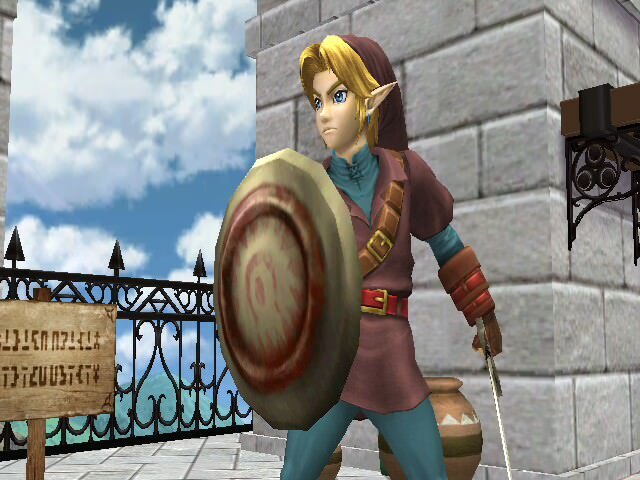 So when Link whipped out his bow, or did a taunt, his sword and shield would simply vanish. That didn't quite float my boat, so I added all of those things. Now, the Hero's Shade is never actually officially depicted with a sheath, so I improvised a little with the design of it. Also, to prevent clipping, I had to vertex his back armor to be a little bit smaller, but it's nothing super noticeable where you'll be like \"omg y his armor so smal\", it looks pretty much the same. Speaking of things that aren't super noticeable, when he reaches for his sheathed sword, if you pasue it at just the right time, and zoom in really far, and rotate the camera to a certain angle, you'll notice that his hand doesn't actually reach the sword. Remember that bit about vertexing the armor to be a bit smaller? Yeah, I can only do so much. So I struck a balance here. You won't notice unless you're crazy. Tock's James McCloud, now with Smash 3 textures and rimlighting! Includes CSP, BP, and even a stock. Check out the Smash 3C Project! Update 6/20/15: New, higher quality CSPs! Textures are all the same, though. Project M's Wolf alt! In Smash 3 style! Has CSPs! Rimlit! 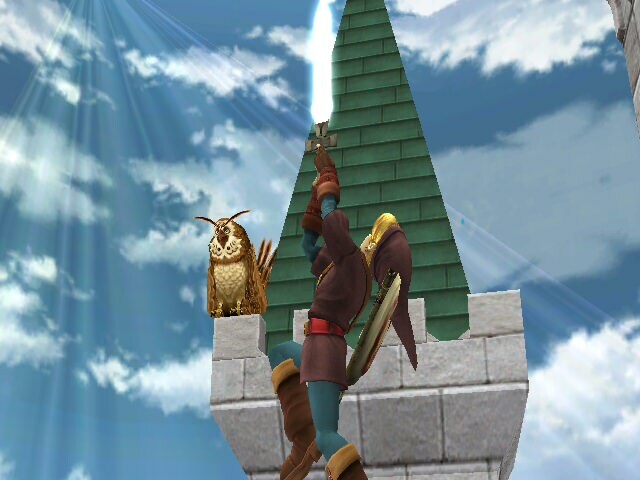 PM's Ocarina of Time Link made to match Smash 3 style, with modified textures and a new game-accurate sheathe. 6/29/2018: Revamped textures, new sheathe, LinkTahuterasuSpirit's FS Triforce fix, and additional recolors added. 12/29/2016: White OoT Link added. 8/17/2016: Smash 3-style stock icons added. 6/20/2015: Redone textures and remade CSPs in much higher quality. 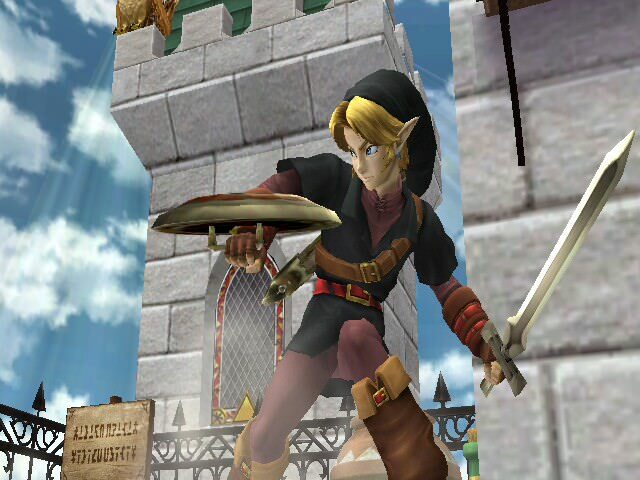 Additional alts added, as well, including Dark Link and a version of Link with his golden gauntlets and mirror shield! Update 09/09/2017: New Wii console texture and recolours have been added to spice up your Wii ROB gameplay! Renders have also been given a full update. ROB lost his face, luckily he has replaced it with one of the hippest consoles around! Use it to play your favourite Smash mods! Rage83's work on Wii R.O.B. was used for the LED. Update 09/12/2017: New colours and a new render, jacket is at the original outfits texture size! Project M's Shogun alt for Dedede in Smash 3 style! Comes with all recolors and everything you'd expect! Update 09/09/2017: New textures have been added with retouched renders. PM's Virtual Boy R.O.B. 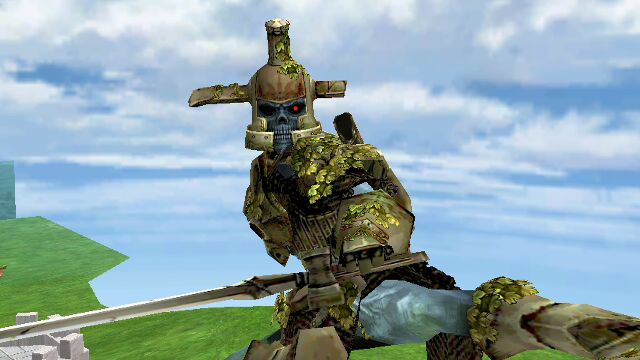 with some Smash 3-style textures. Don't strain your eyes peering into his... eyes. Enjoy this combination of two questionable hardware releases! Update March 1st, 2017: New recolours, new renders, run trails, model fixes, and a whole lot of speed! Project M's Jet Set Sonic alt with Smash 3 style, look rad while spraying graffiti on your opponents. He may not be cell shaded but this alt embodies all the style of the Jet Set Radio franchise! 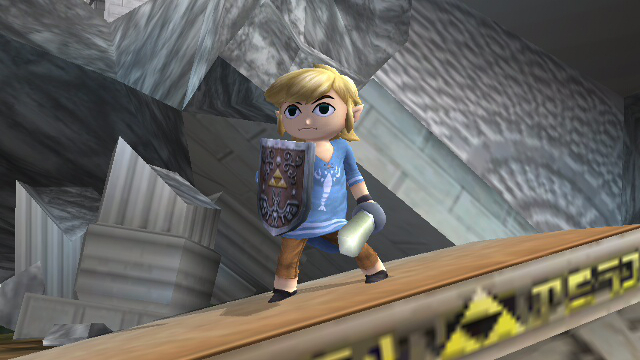 Gives PM's Pajama Toon Link the shield from his regular costumes. 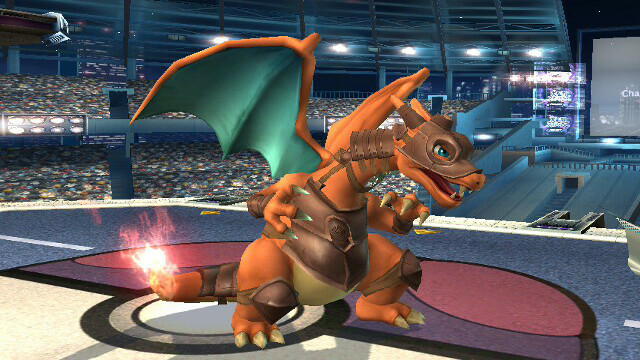 Just a minor tweak to PM 3.5's armored charizard. The armor is now kind of a reddish brownish color, to better resemble its appearance in the movie it's based off of. UPDATE: Sheath texture has been recolored a bit to better match the 3.5 sword. The previous texture, by SJS, was designed for the 3.0 sword, which was a different shade of gold. This gives Roy his sheath back, using his newly updated 3.5 model as a base. 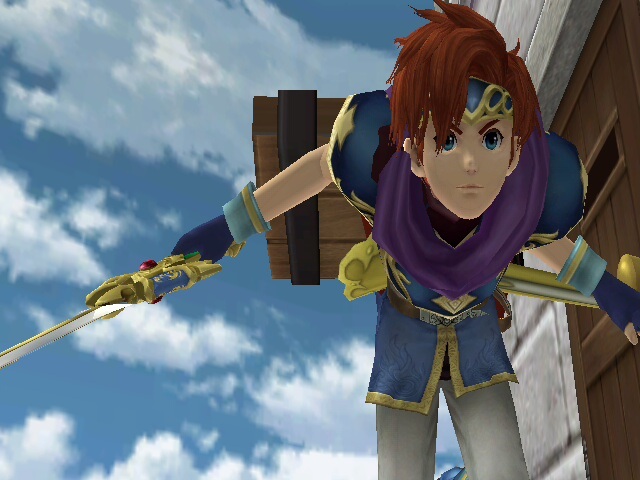 It also adds a missing piece of gold trim to Roy's side armor. 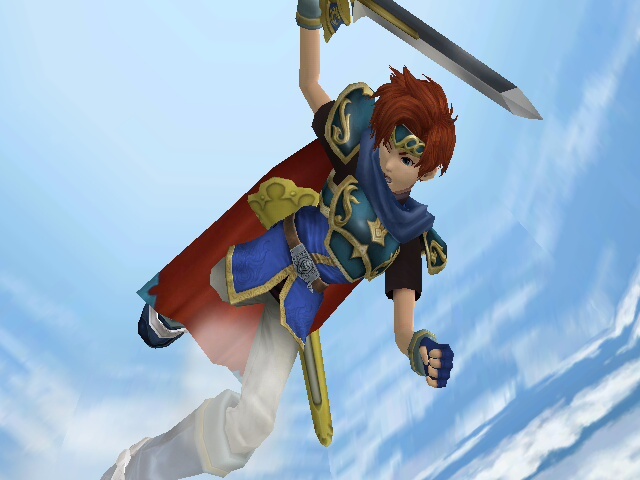 I'm not sure why Project M didn't include it, since it's clearly there in all of Roy's official art. Includes all 3.5 recolors. Does not include my Master Lord Roy recolor, though that does now have a sheath option available. 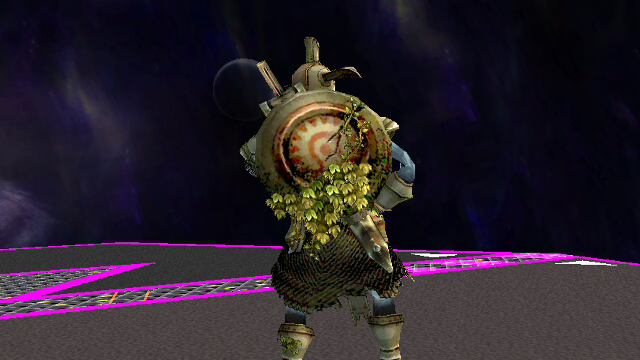 This "patch" was made so that Smash 3 and the Triforce Ganondorf Mod could work together. 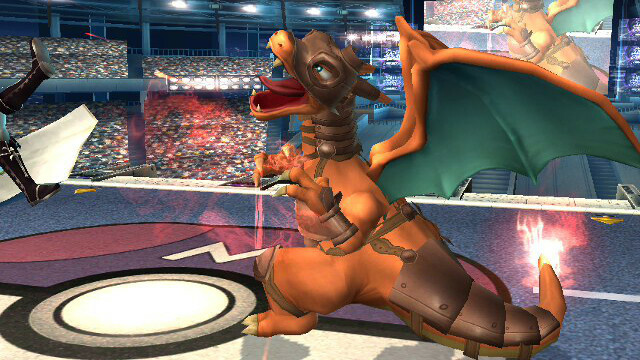 Update 12/9/2014: New sheath textures by Smashboards user Crixler. Bask in their glory! YOU ABSOLUTELY NEED THE TRIFORCE GANONDORF MOD FOR THIS TO WORK. IF YOU ARE PLAYING AGAINST A FRIEND VIA WIFI, BOTH OF YOU NEED ASHINGDAS MOD (AT LEAST) FOR THIS TO WORK. Page created in 0.397 seconds with 137 queries.